The room was smaller than we expected, the air conditioner was extremely noisy and you could hear guests in neighbouring rooms as well as room above. Need to do something about better soundproofing. Disregarding the issues with the room, the hotel itself was wonderful, the staff great, location ideal and we enjoyed ourselves. We found the staff at the Moana Surfrider an absolute pleasure to deal with. In particular, Keole on reception went above and beyond to ensure our stay was perfect. The location of the hotel and it's amenities are unrivalled in Waikiki and I would rather stay here for 1 week than anywhere else for 2 - it's that good. Can't wait to go back. I have stayed in this hotel 4 times now and never been disappointed. 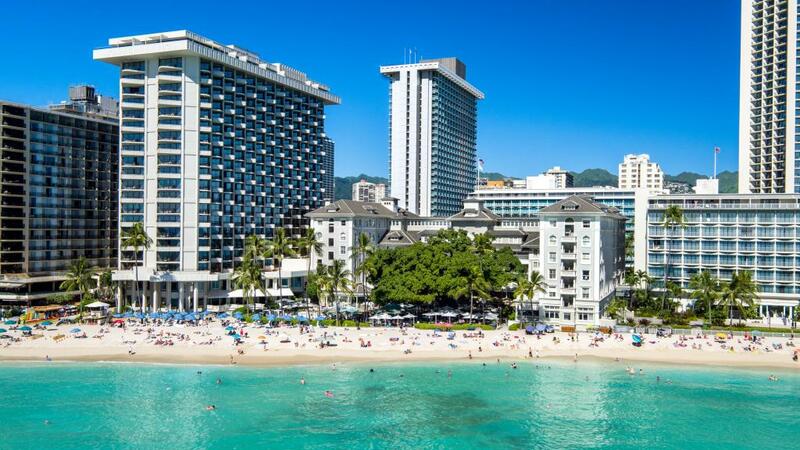 It is right in the heart of Waikiki and right on the beach. It lends itself to relaxation with the pool and surrounding deck chairs plus tables for consuming food. If you prefer the beach it is right there and towels are provided for hotel guests. All in all wonderful amenities and wonderful hotel. Exceptional location and service. Hotel room was tiny which was a little bit disappointing. Beautiful hotel.. Walk through the doors and you step into paradise. Beautiful ambience of quality and style. Perfect location on beach. We thoroughly enjoyed every aspect of hotel. Recommend highly.